Let us help you plan your next big event! | Visit Butler County Pennsylvania! Let us help you plan your next big event! With the name “Butler,” you can bet we know how to serve you! 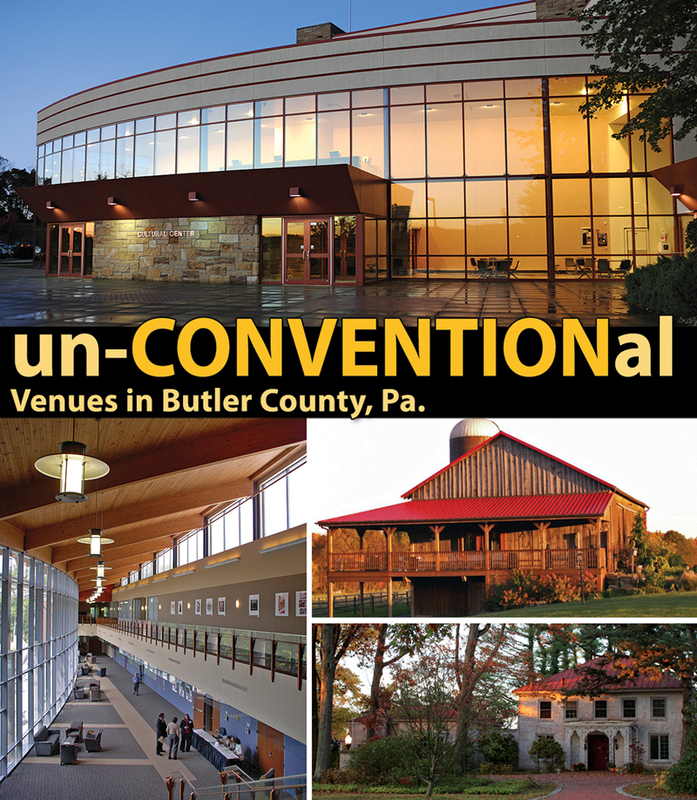 Butler County is a great place to host a meeting or special event. Getting here is easy with access via the PA Turnpike, I-80, I-79 and Routes 422, 19 and 8. The county is only 20 minutes from downtown Pittsburgh and provides freedom from parking stresses. Our wide array of venues can accommodate up to 2000 people. We’ll be happy to offer you FAM tours, sample itineraries, step-on guides and literature for out-of-town guests. Whether you’re planning a large formal event or you want to make a bang with a unique rural setting, we can make it happen in Butler County. Once you get here, don't make your stay strictly business. We invite you to have some fun too. Stay during one of our fairs and festivals to give your trip some extra pizzazz. From agriculture and outdoor recreation to history and shopping, you'll be surprised at all there is to do in Butler County. Butler County Tourism & Convention Bureau is a one stop shop for all of your selection, planning and welcoming needs. After all, you’re in our neighborhood, let us help you plan by coordinating efforts with our friends around the county. We have the knowledge and expertise to get your event started in Butler County, Pa. Make your event the best it can be by partnering with a CVB! With a variety of services including welcoming committees at your venue or hotel, tourism ambassadors to tell your guests where to go, and site selection services, we’ve got you covered from start to finish. Let Butler County, Pa. be the location you want to keep coming back to for years to come. Here’s what we do at no cost to you!